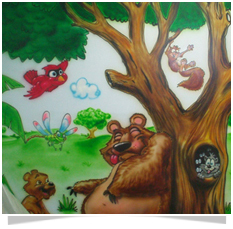 Art and painting for kids is a truly enjoyable activity for children. Many students take to painting while at Dikshant and gain a lot of expertise under the guidance of our Art Faculty. The best paintings are on display in the school corridors and are also specially exhibited during Parents-Teachers Meet. Students are given special lessons on how to make good posters, collages, and cartoons. Other than crayons and water-colours, students also learn to use oil-bounds, pastels. Art plays an important element in formative minds and encourages creativity and alternative ways of looking at objects.